President Trump on Saturday again went after his attorney general Jeff Sessions and the Justice Department. “Jeff Sessions said he wouldn’t allow politics to influence him only because he doesn’t understand what is happening underneath his command position. Highly conflicted Bob Mueller and his gang of 17 Angry Dems are having a field day as real corruption goes untouched. No Collusion!” Trump wrote on Twitter. The tweet came a day after Trump attacked Sessions over a statement he had issued on Thursday. 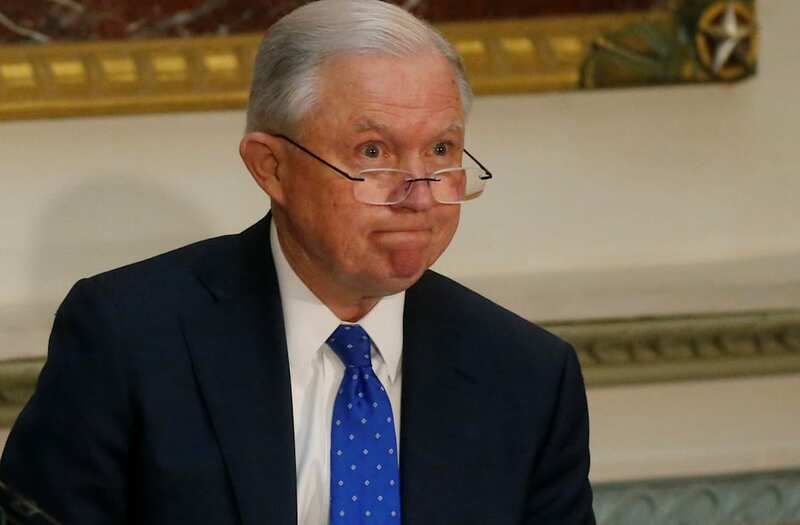 “‘Department of Justice will not be improperly influenced by political considerations.’ Jeff, this is GREAT, what everyone wants, so look into all of the corruption on the ‘other side’ including deleted Emails, Comey lies & leaks, Mueller conflicts, McCabe, Strzok, Page, Ohr, FISA abuse, Christopher Steele & his phony and corrupt Dossier, the Clinton Foundation, illegal surveillance of Trump Campaign, Russian collusion by Dems – and so much more,” Trump tweeted on Friday. And in an interview with ‘Fox & Friends’ that aired Thursday morning, Trump slammed Sessions’ decision to recuse himself from the Russia investigation.